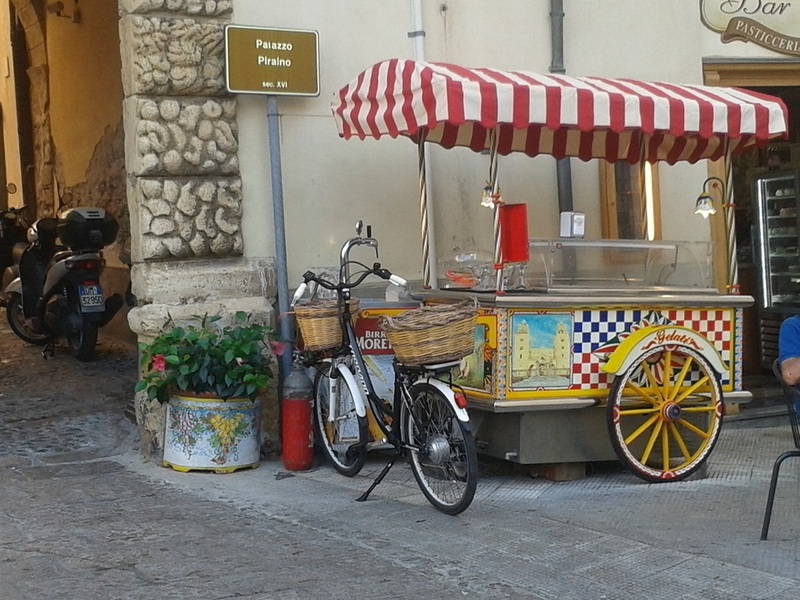 This blog is dedicated to share more helpful contents for your travel to visit local places and tips for enjoying your time in Sicily. 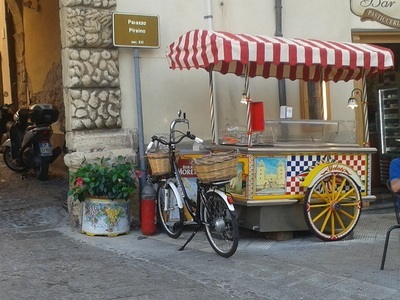 Enjoy our online contents from direct Sicily updates from Facebook or LYS articles to learn about Sicily. When I first arrived in Sicily on holiday I hadn't a word of Italian and I realised quickly that the vast majority of people there hadn't a word of English in Sicily, not even the teenagers! This can be quite interesting as you find yourself totally immersed in the deep end and sign language suddenly becomes a new undiscovered talent when travelling on holiday to Sicily. 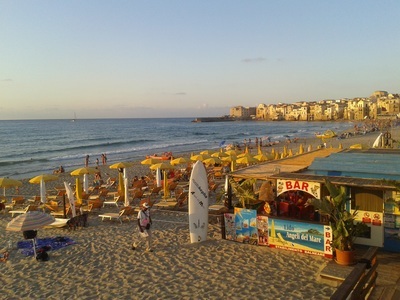 In the tourist holiday destination hotspots like Cefalu you will find a basic enough level of English about. However once you wander outwards you will find difficulty communicating so I would recommend a dictionary to carry about when visiting Sicily. Don't get me wrong though, once the person establishes what it is you want, he or she may literally take you by the hand to help you or involve the whole local community in finding a solution to your problem/query while discover this beautiful island of Sicily with wonders from Sicily Sea Beaches to Art in Sicily or History of Sicily. When at a bar/cafe or gelateria (ice-cream shop in Sicily) it is standard practice to first go to the separate till area and pay for what you want and then you proceed to the bar area and hand over your receipt to the barman who will take your order. My first time experiencing this was in Palermo airport when I went up to the bar to get a coke. The Sicilian barmen had no English and kept pointing to the far corner but of course this whole new concept of paying in a separate area first hadn't even dawned on me. Therefore I left the bar with my tongue hanging out! So if getting an ice-cream when in italy for example, have a look first at all the flavours and decide before going up to pay. 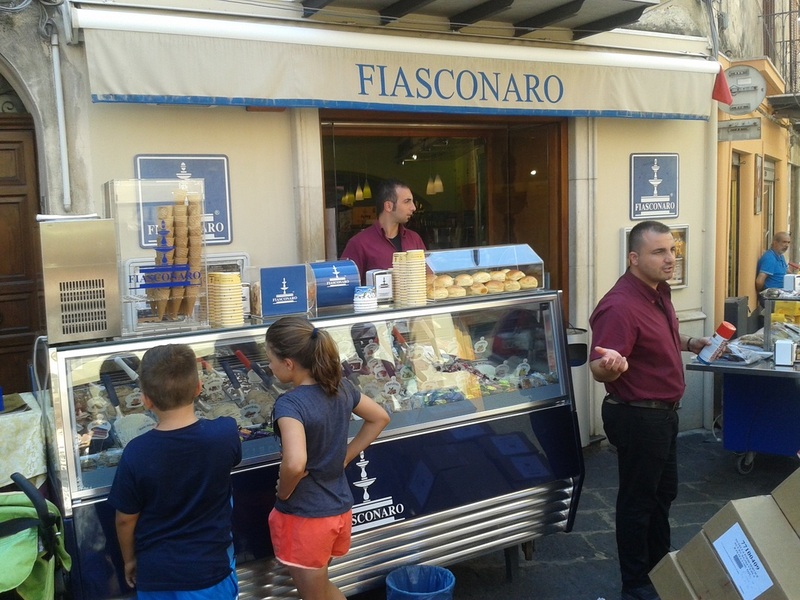 You normally ask for a cone (Cono) or cup (Copetta) and you can choose normally up to three flavours of the best Italian ice cream of course - ciao ciao by R.K.
Italians love their coffee and they think our imported love of coffee habits are hillarious. 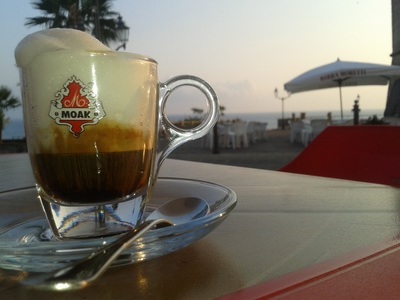 For example, "cappucinos" are only drunk in the morning time. But you can still ask for one at any time there as they are used to tourists asking for these. "Lattes" as we know them are not the same there. If you ask for a latte, it translates directly as milk, so you must specify "latte machiato" (pronounced Ma ki At O) but because this is not a common drink it can sometimes be served tepid and always in a glass. So my advice is to stick with Cappucinos or Americanos for normal coffee. Greetings are very important. Two kisses are the norm. Well it is more like a cheek to cheek rather than an actual kiss. Children give one kiss. Men kiss eachother too. It's normal. Men also often link arms whilst out walking. Now walking is another concept altogether. Going for a walk in Ireland is not the same as going for a walk in Sicily. I nearly had my runners on ready the first time I was asked to go for a walk but I quickly discovered that it is more like a snail's pace rather than a walk! And it is most certainly not for sporty reasons or for digesting the dinner. It is in fact a social experiment whereby the town people head out after dinner in the evening and dress up. 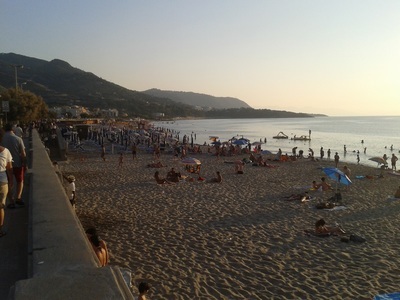 They then walk back and forwards along the main promenade of the town sometimes stopping at the square or at the bar for a drink. This walk can take from an hour to three hours as all the time you are stopping to greet your relatives, friends, neighbours and acquaintances. It is actually very pleasant once you get into the slow swing of things and it is refreshing to see both young and old all participating. By Rhona Kelly - LYS Irish Editor. Are you traveling from the U.S. to Sicily? Not sure which cities are the best choice for your vacation? Sicily is a large island and you can’t really go wrong no matter where you go. But, depending on what you want to get out of your dream trip, different places offer diverse advantages. 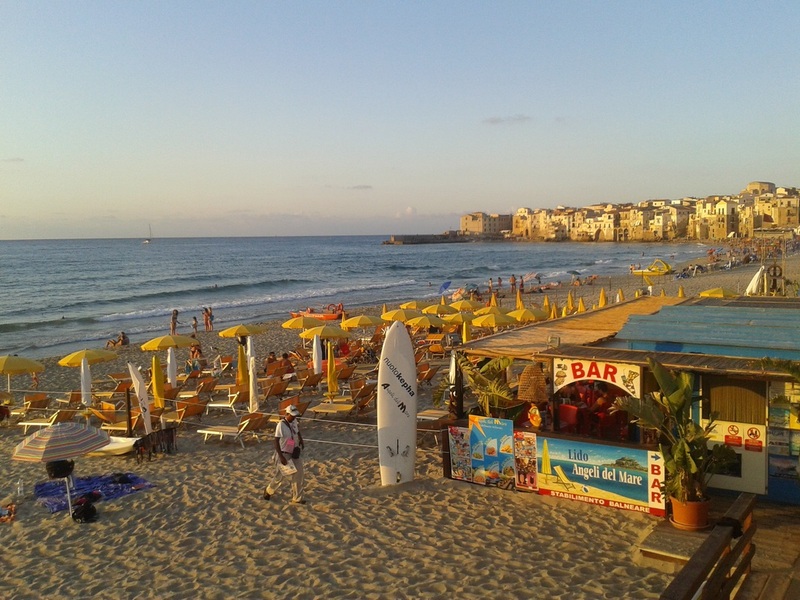 This is part 1 of a series on Where to Visit in Sicily. 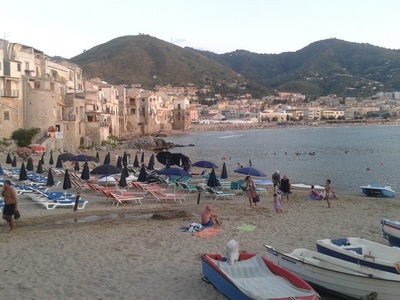 When choosing a place to vacation in Sicily, Cefalu should be at the top of your list. This small, sea-side town has everything a first time traveler to the island could want. And, it is easy to get to, easy to navigate and can be enjoyed for a short trip or a long stay. Whether you come from a big city like Chicago, Philadelphia, or New York, or a small town in the South or Midwest, life in America is lived at a break-neck pace. Day to day living is often frantic, racing from work to after-school activities to social events and back home to do more work. Add that to the pervading feeling of guilt that comes with taking even on day off, and you have a mind and body that are in dire need of rest. Now, most American vacations are just a slightly less frantic version of day-to-day living. Resorts like Disney, or the beaches of Florida are set up to keep us moving. It can have you returning from your vacation more fatigued than when you left. 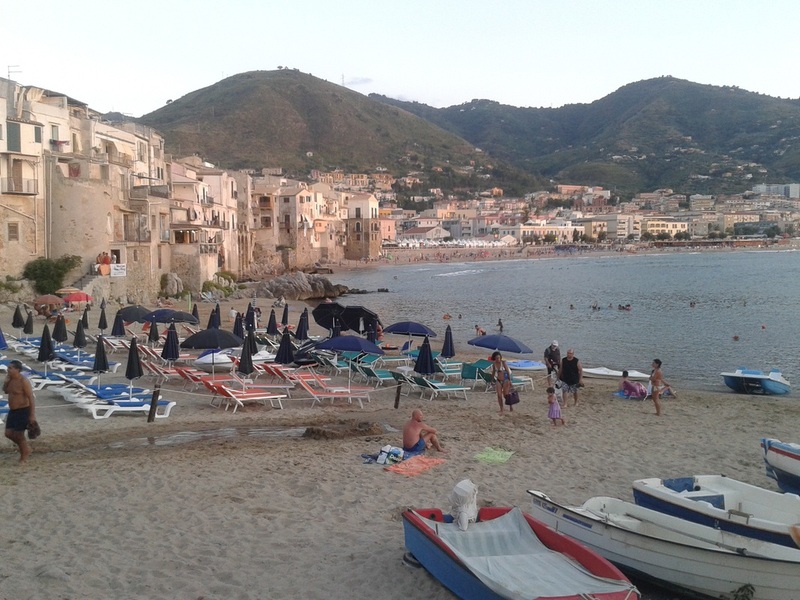 Last week I spent a few days in Cefalù. This phrase really struck a cord with me the first time I read it. In just a few, well written, very elegant lines, it summarizes the immense concept of “Life in Sicily” that I was trying to explain to my friends through words, anecdotes, gestures, long monologues, and disconnected thoughts and phrases. Yes, Sicily is Arancini… cannoli… the sea… the sun… but it is also so many other things that I don’t really know where to begin. 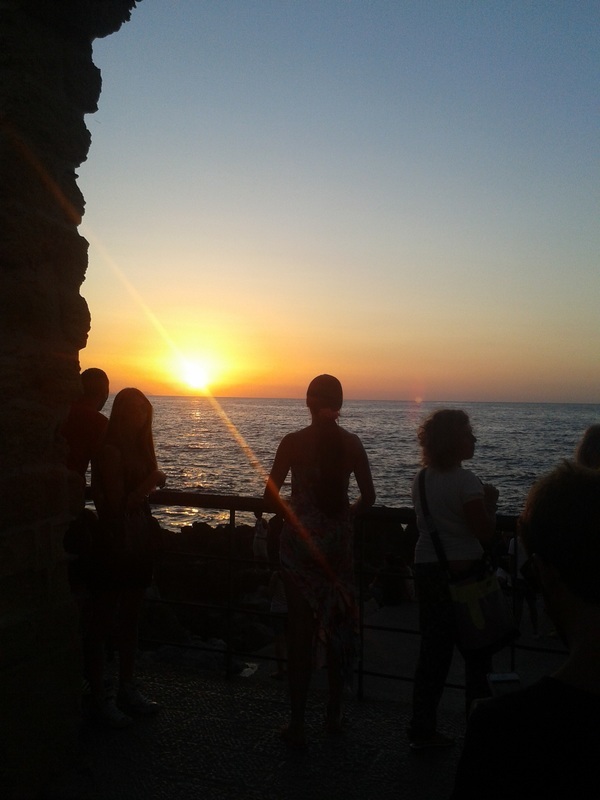 Here our daily feeds from our ﻿facebook profile﻿ to share with you all daily posts and hidden view of sicily.